Julie is a medically trained healthcare practitioner with skills in multiple disciplines. Julie is a classically trained Oriental medicine physician. She earned her acupuncture degree from the Academy of Classical Oriental Sciences located in Nelson, British Columbia. She has additional qualifications from the CHEK Institute in musculoskeletal assessment and pathology correction. She also specializes in Tissue and Mineral Analysis, which is a noninvasive multipurpose medical test used to assess metabolism, cellular energy, stress response, endocrine and immune function, and heavy metal toxicity levels. 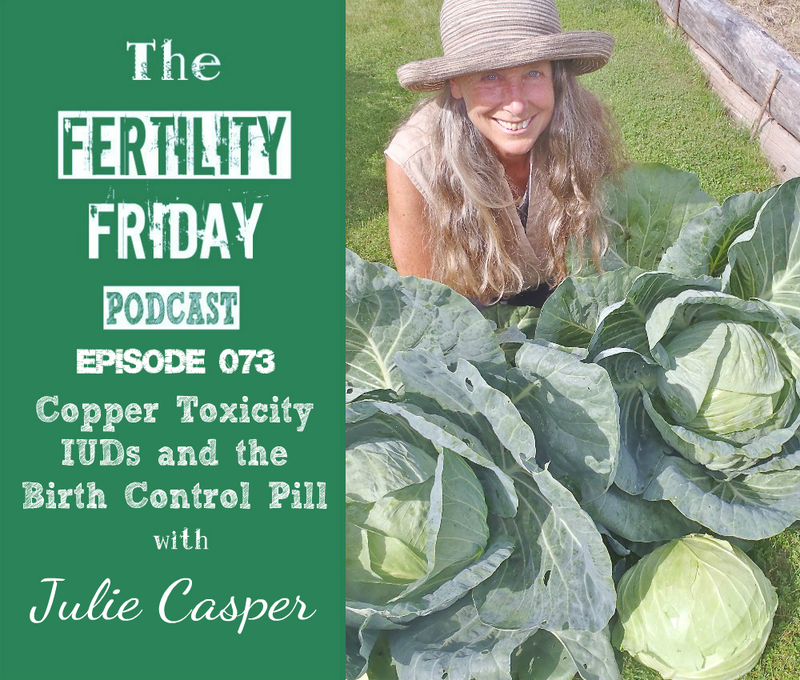 In today’s show, Julie and I talk about copper toxicity and how it relates to the Copper-T IUD as well as the birth control pill. What is copper toxicity or excess copper and what causes it? What are the symptoms of copper toxicity? What are some of the other sources of copper that contribute to copper toxicity? Health Elite | Julie Casper LAc. Nutritional Balancing | Copper Toxicity | Julie Casper LAc. This podcast was great and really helped answer some questions I’ve had a hard time finding information about regarding copper and it’s effects on my body! Learning about copper IUDs I naturally made the connection to copper and my hormones and it’s effects on my body, when I asked my doctor about it she laughed. Thank you so much for sharing such important information! It’s not just about copper either and I loved the holistic approach to it and its relation to other things and how it ALL effects things. Hi Heather, thank you for your kind words. I’m so glad to hear that you enjoyed this episode. I love how Julie discussed the topic of excess copper. She shattered some of the myths I had and shed some light on other sources of mineral imbalances all from a holistic perspective. Not surprising that your doctor laughed. Your doctor is coming from a different perspective. Best wishes! Hi, I just found my way here today after coming across a vlog posting about removing your own IUD because of so many health problems. I have had so many of the problems for years and even my ex husband told me to just have it removed because he thought it was making me sick! I’ve been on IUDs for more than 10 years. My first one was terrible, but still had it for 5 years, my current one has been fine obvious symptom wise-my cycle went back to normal, like clockwork with medium flow not too much cramping. I assumed copper IUDs were safe and recommended them to friends my step daughters and all have been thrilled. I tried doing natural fertility monitoring years ago and it was the fastest way to get pregnant, so many women I knew and know were/are getting pregnant before they were ready or had healed their bodies from deficiencies and toxins. My temperature is below average, could never get a handle on the fluid texture and I’m a tactile artist…. and I never had a regular schedule of waking up bright and early etc.. I also had long term chronic illness, fibromyalgia etc that would have been messing with things. So no, charting my fertility was a disaster. The copper IUD seemed like the best option and rescued me and others from a lot of further trauma from unwanted pregnancies and miscarriages. I was horrified to find out natural fertility monitoring has become a trend! Although I just found out about Daysey that looks cool. I’m definitely all for knowing your body, but even environmental factors can throw everything off. Stress, travel, a sudden move will make your body ovulate early. I highly recommend getting enough time outside in the moon, exposing yourself to moonlight from your windows. I live in the country so it’s easier for me to have no curtains. I have also read that the IUD can create autoimmune type symptoms because the body will be fighting it. But as for a lot of other things that have been going on, wow! Copper toxicity. I have a background in holistic nutrition and eating organic, local etc but I never knew about copper excess. Julie Casper is a wealth of information!